Envirosafe Ireland supply top quality Downflow benches and workstations. 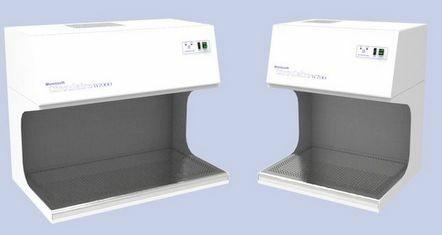 Downflow benches are free standing units that can either be ducted or filtered using a carbon/HEPA filtration. They provide fume and/or particulate containment by drawing air through the perforated work surface and either ducting to outside or filtering through the HEPA or carbon filters. Alternatively, the compact Downflow workstations provide protection from harmful fumes and particulate by drawing air through the 304-grade stainless steel perforated work surface therefore ensuring compliance with COSHH regulations. These units can be filtered with either carbon or HEPA filters, with a wide range of filter types available to suit individual need.